Christmas fear for all to share. 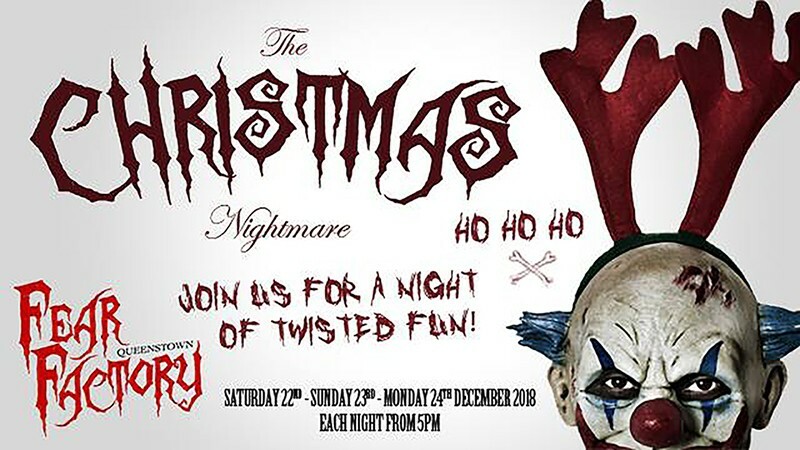 This December Fear Factory will be overrun with Evil Elves, Killer Snowmen, Man Eating Christmas Trees, and deranged Santas. The only question this holiday season is… Are you brave enough for Santa’s judgement! Join us in Fear Factory Christmas grotto. For our 3-day special event on 22nd / 23rd / 24th December. Grotto opens at 5 PM - 11 PM. Enquire in store, 54 Shotover St, Queenstown 9300, book by calling us: (03) 4428 666 or at our website.